The Pima County School Superintendent's Office is a constitutional office with specific statutory mandates and authorities (Constitution of the State of Arizona, Article XI). Its statutory responsibilities fall into four broad categories: fiscal, special administration, informational and educational. School districts process all expenditures through this office. All revenue collections pass through here, as well, in compliance with the relevant Arizona Revised Statutes and rules of the Arizona Auditor General. The office is responsible for all special school district elections for the districts in Pima County (A.R.S.§15-302). These special school elections include governing board elections, bond elections and budget override elections. The elections are conducted in cooperation with the school districts and the Division of Elections and the Recorders Office. The county school superintendent must either appoint governing board members to fill board vacancies or call a special election to fill the vacancies on school district governing boards in Pima County. The superintendent is also responsible for filling vacancies on the Pima Community College Board of Governors (A.R.S.§15-441.E). The county school superintendent is authorized to establish small district service programs to assist school districts with student counts of less than 600 students with administrative services (A.R.S.§15-365.E). Six Pima County school districts are part of such a program: Ajo, Continental, Empire, Redington, San Fernando and Pima Accommodation District. Using County Equalization funding (A.R.S.§15-994), the program provides fiscal services, special education and technology services to the participating districts. It can be difficult and expensive for small districts to obtain these services individually. Consolidating services within a single program prevents unnecessary duplication of services among the smallest districts and is more cost-effective. The office distributes all school-related information and opinions provided by the Arizona Attorney General's Office to Pima County school districts.. The office provides a range of information about education and education services to schools and communities throughout Pima County. The Pima County School Superintendent's Office operates the Pima Accommodation District. The district provides alternative education programs to school-aged children in the county who live outside the boundaries of an organized school district, are detained by juvenile court, or are incarcerated in the county jail. The office registers affidavits for homeschooled students (A.R.S.§15-802). The parent or legal guardian of a homeschooled student must file an affidavit of intent with the Pima County School Superintendent. The parent or legal guardian of a student who attends a private school must also file an affidavit of intent with the Pima County School Superintendent (A.R.S.§15-802). 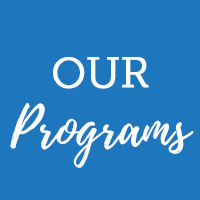 The county school superintendent's office serves as administrator for several specialized education programs that extend beyond the boundaries of individual school districts. Some of these projects are consortium efforts with local school districts to ensure that under-served youth are provided appropriate education programs. Other projects are developed in response to federal, state or local agency concerns regarding underserved school-aged children in Pima County.